Happy Christmas! 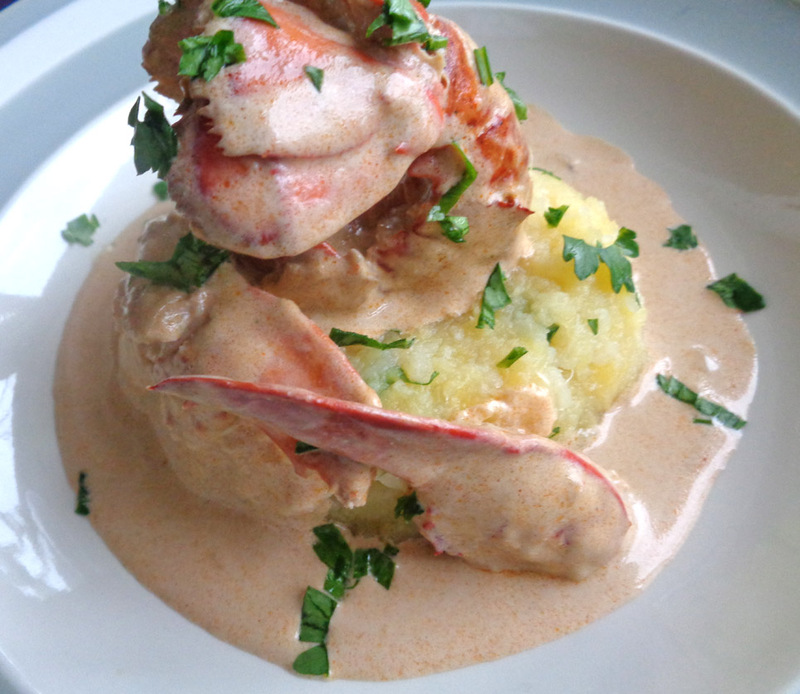 Lobster & Mash! 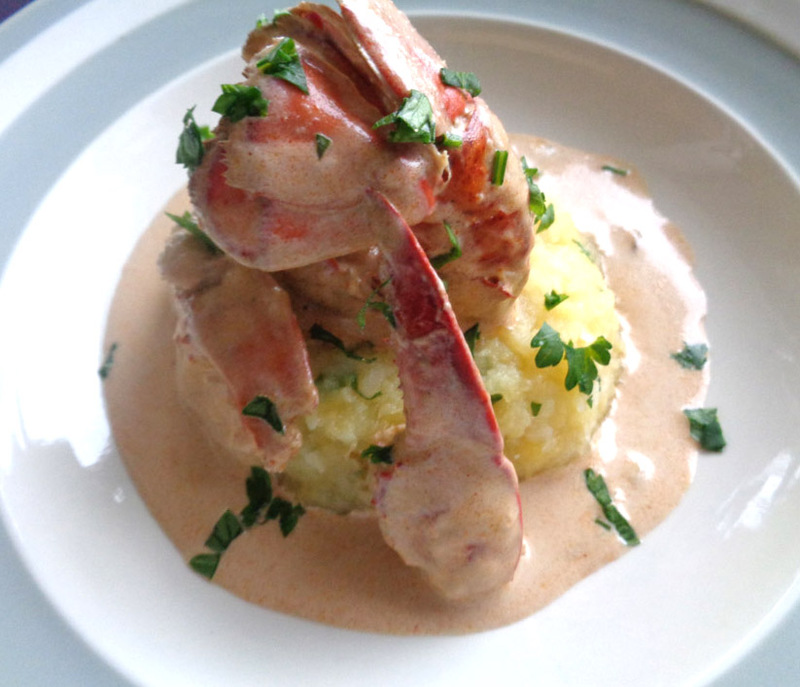 I think this might be the most expensive dish I have cooked for this blog, but it is Christmas and you are trying to eat something different and having a treat for this one day in the year is very much recommended! Enjoy it! 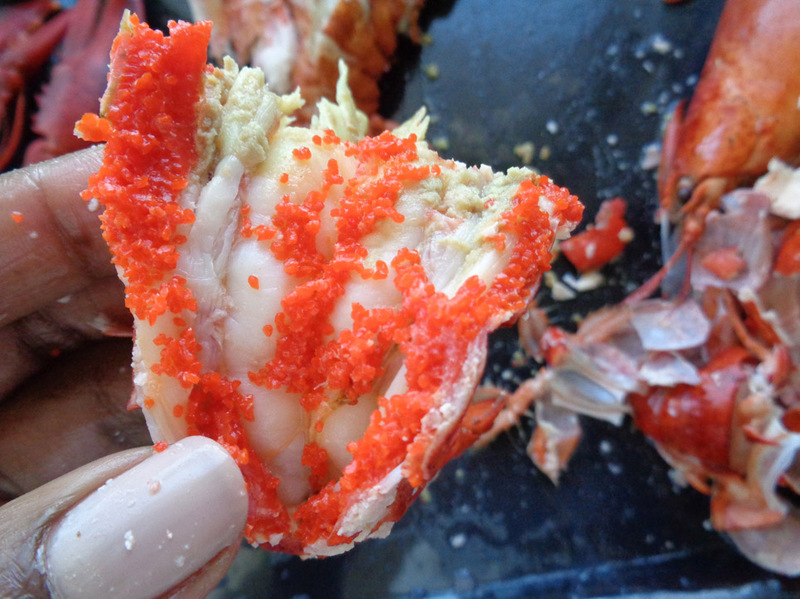 Defrost the lobsters and deshell them without damaging the shapes too much or you might end up with flakes instead of well-shaped pieces of lobster meat. Be especially careful with the laws as they are the hardest to break without crushing. 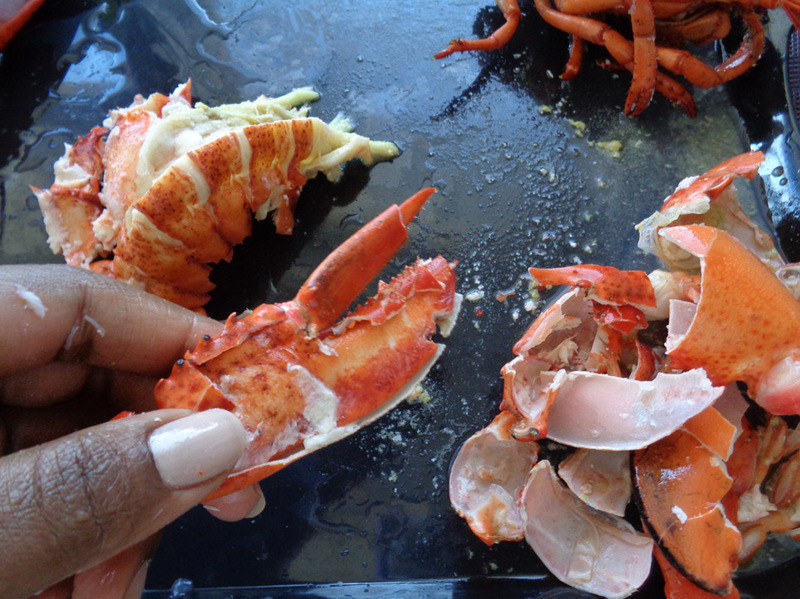 Start by separating the tails from the heads, then detach the claws from the heads. 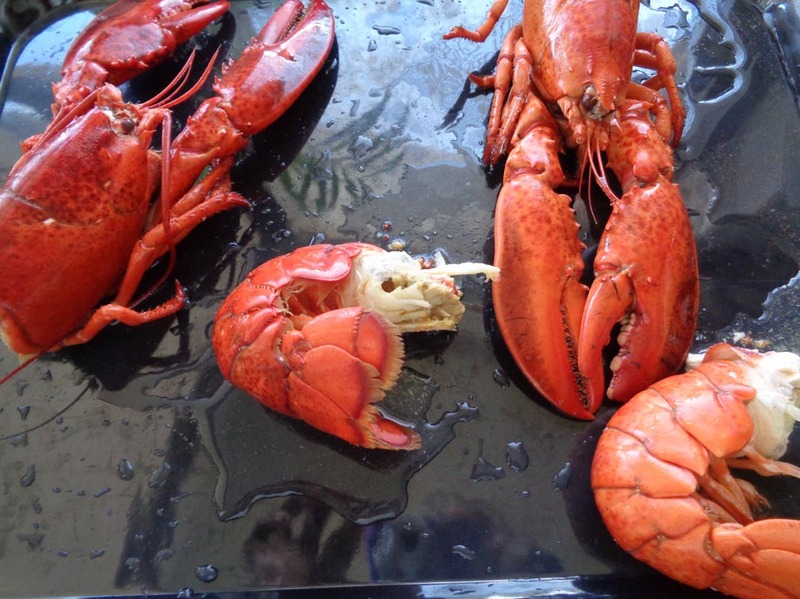 Carefully remove the shell from the tail then rinse and score the back of the tail to empty the belly of the lobster. 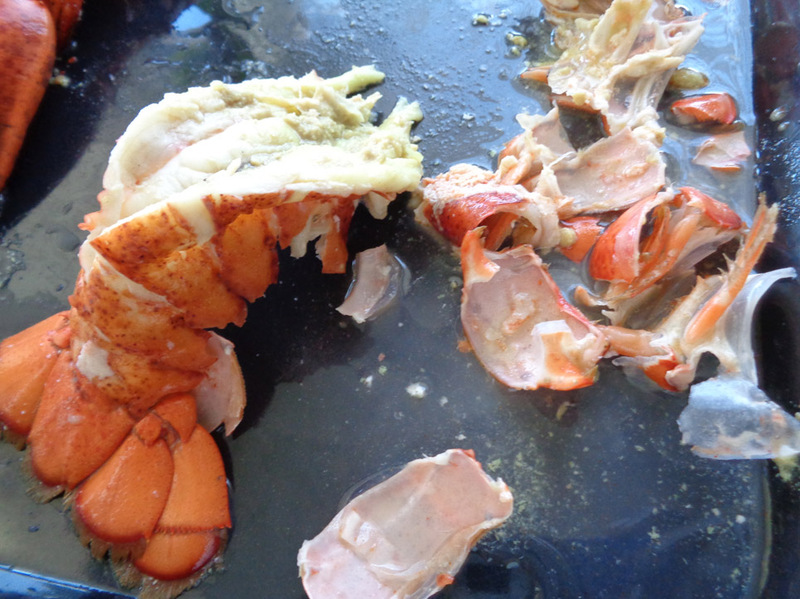 Once that is done, rinse the lobster tail and feel it all over to make sure that there is no shell debris left. Set aside. Now deshell the laws and carefully remove the meat. Rinse and feel all sides to make sure there is no broken shell left on the meat and set aside. nor the heads. 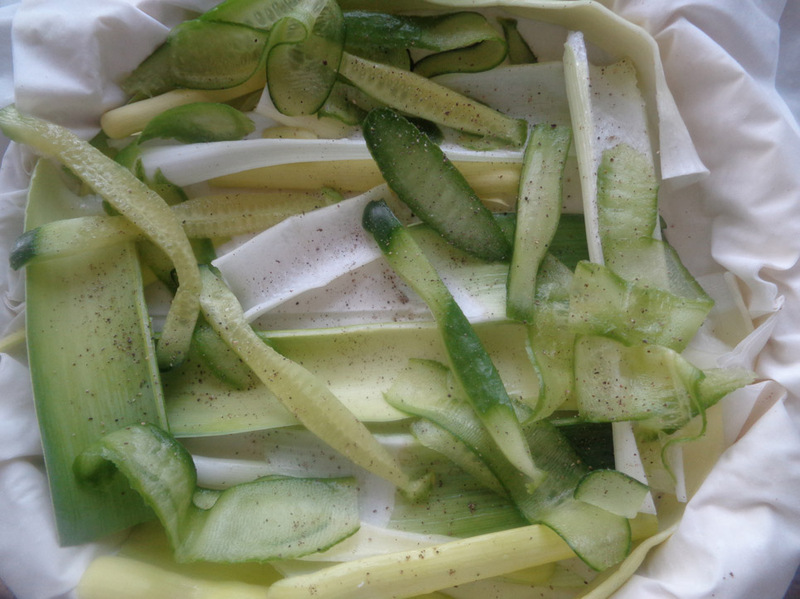 Instead, rinse and reserve in bowl with a lid or in a freezer bag. 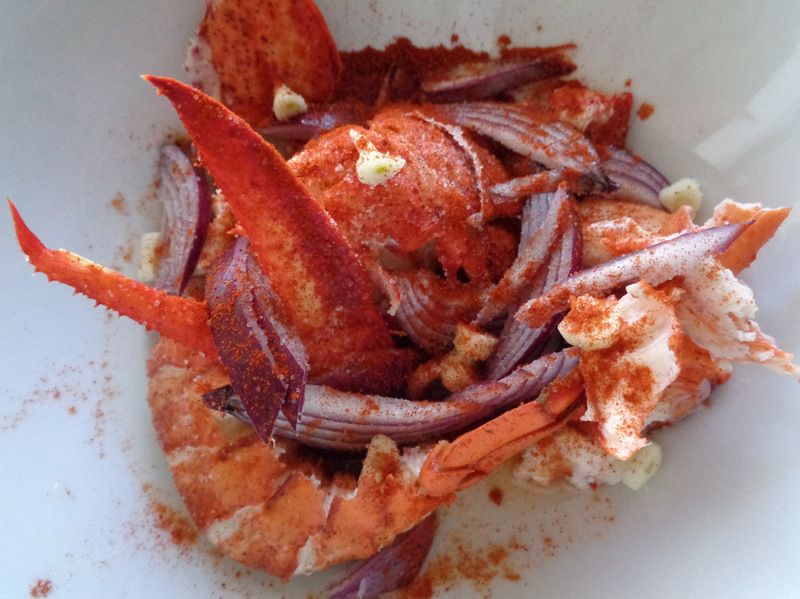 Returning to the lobster meat: We are going to marinade it overnight. 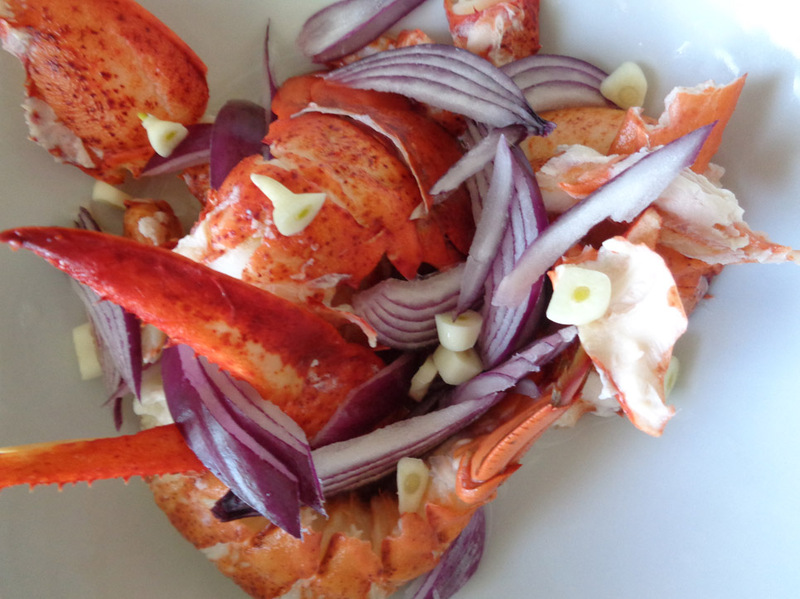 Place the lobster meat in a bowl with 3 chopped garlic cloves and 25g chopped onion. Add a pinch of paprika, salt and 1 tablespoon of vegetable oil. 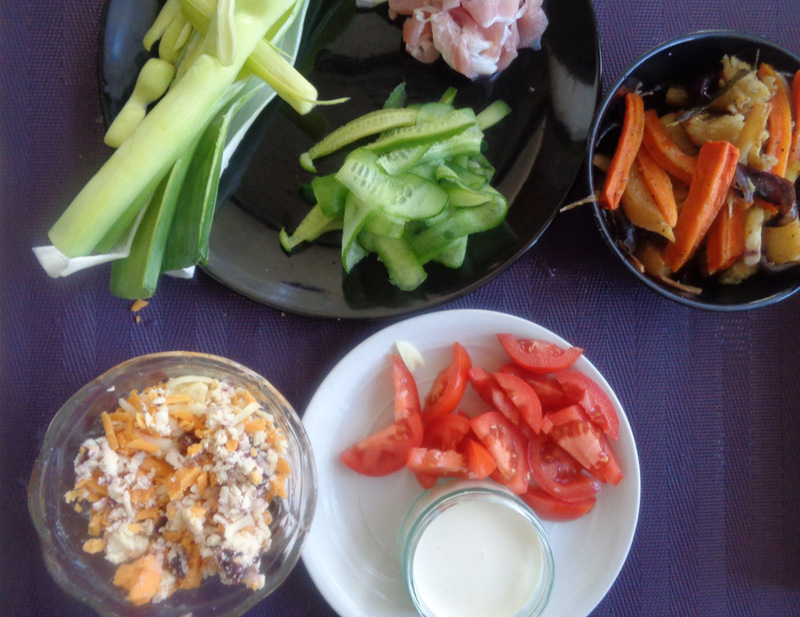 Mix well and leave in the fridge overnight. 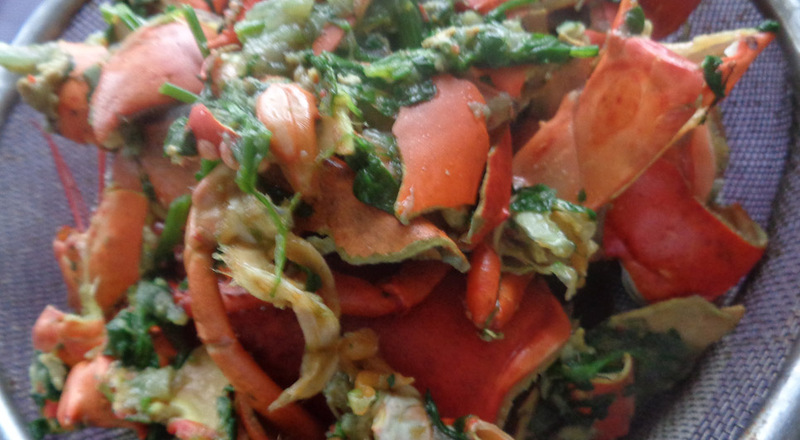 When you are ready to make the sauce, heat a pan with 2 tablespoons of vegetable oil , toss fry the lobster shells for 2 minutes, then add the parsley, chopped or whole with the remaining 25g of chopped onion. Toss fry for another 2 minutes before adding 500ml water. Cover the pan and leave to simmer for 10 minutes at high heat then drain using the finest sieve you can find. The sieve will hold back even the smallest pieces of shell so you won’t find them in the sauce later. Discard the shell and set the stock aside. The stock will be about 300ml. marinade. Stir fry for 2-3 minutes allowing the onion of the marinade to soften. Now add the 300ml stock prepared previously as well as 150g of crème fraiche, salt & pepper. Stir and allow to simmer for 8-10 minutes. This will give time to the liquid to evaporate and the sauce will become creamier and creamier… as you stir, look out for the sauce sticking to the sides of the pan as an indication that the sauce is getting creamier… as it begins to stick, taste and adjust the seasoning. Before removing from heat. Peel and cut the swede and parsnips in small pieces. Place them in a pan with enough salted water to cover the content of the pan. 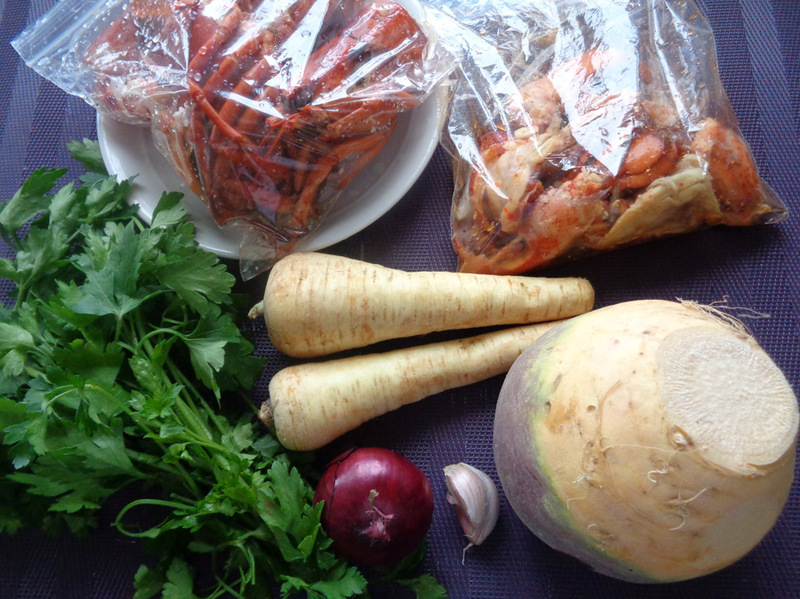 Bring to boil for 10-20 minutes depending on the size of the pieces of vegetables. 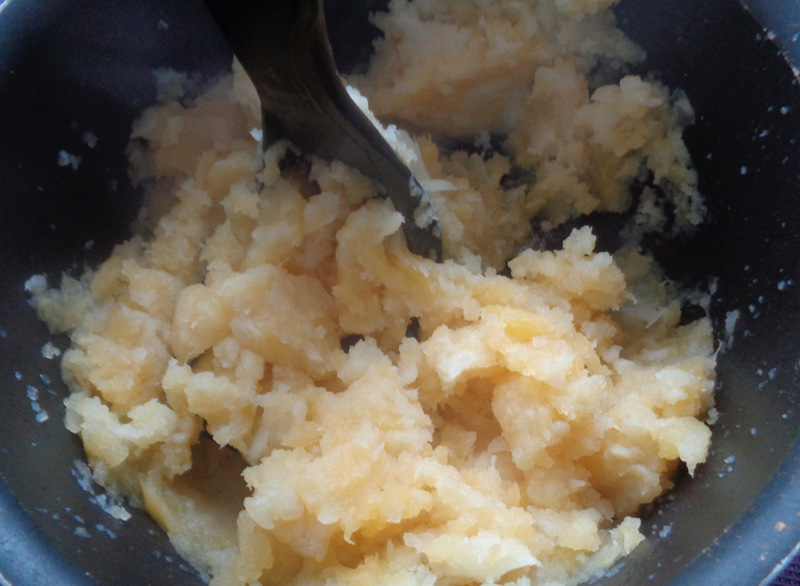 Both vegetables feel a bit like potato once they are cooked so, keep a closer eye on them after 10 minutes of boiling as you do not want a soggy mash. The vegetables should be cooked, but still firm and mashable. Once they are cooked, drain and mash either with a potato ricer or simply a potato masher. Add the remaining 25g butter, a pinch of salt, combine and finish with chopped parsley. 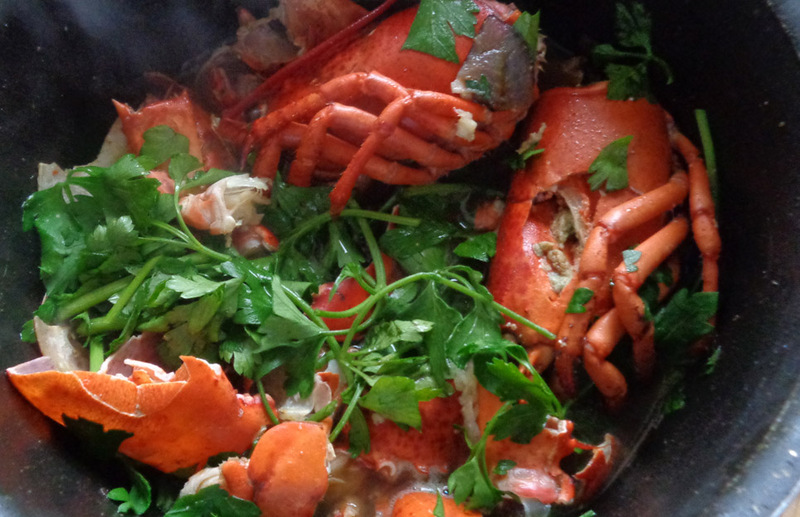 Serve hot as suggest with the lobster. 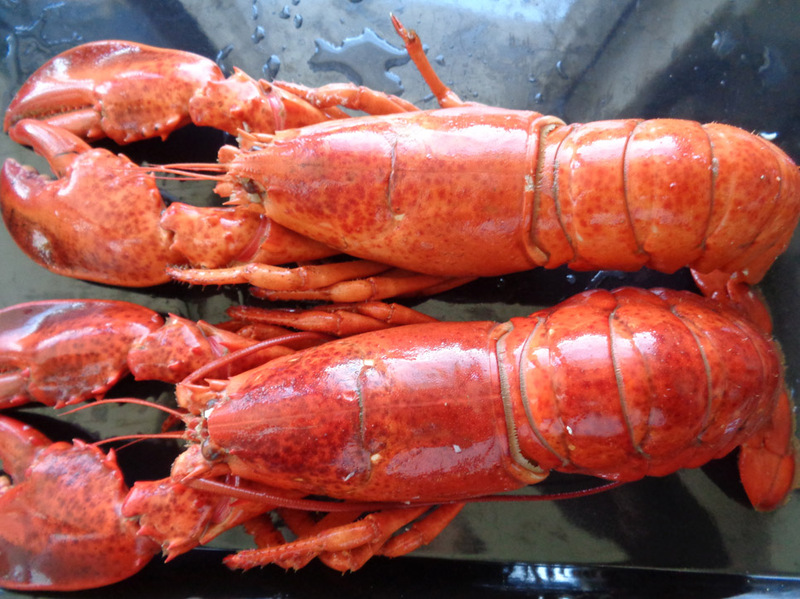 PS: Lidl’s Lobsters are pretty well rated by the Daily mail… check out what they said about it here. 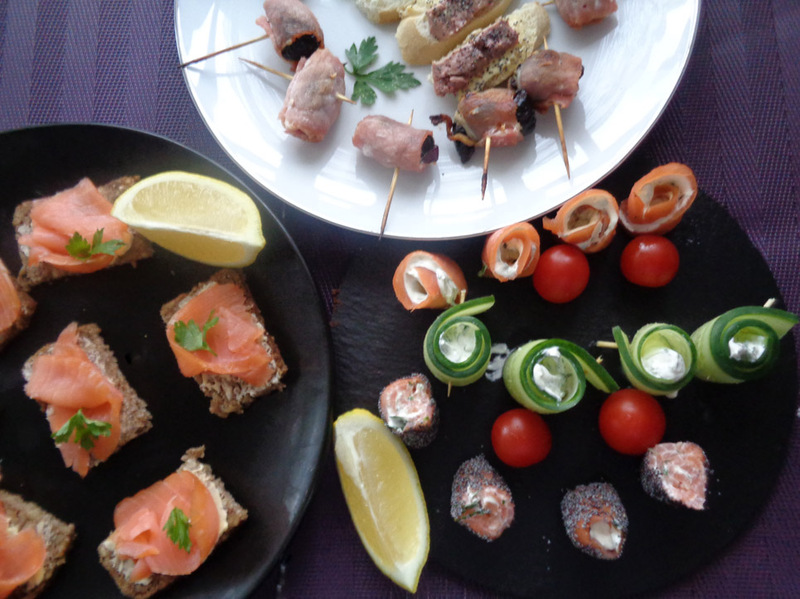 Click to see the nibbles & stater from this menu or simply type in #NoelByHJ in the search box. 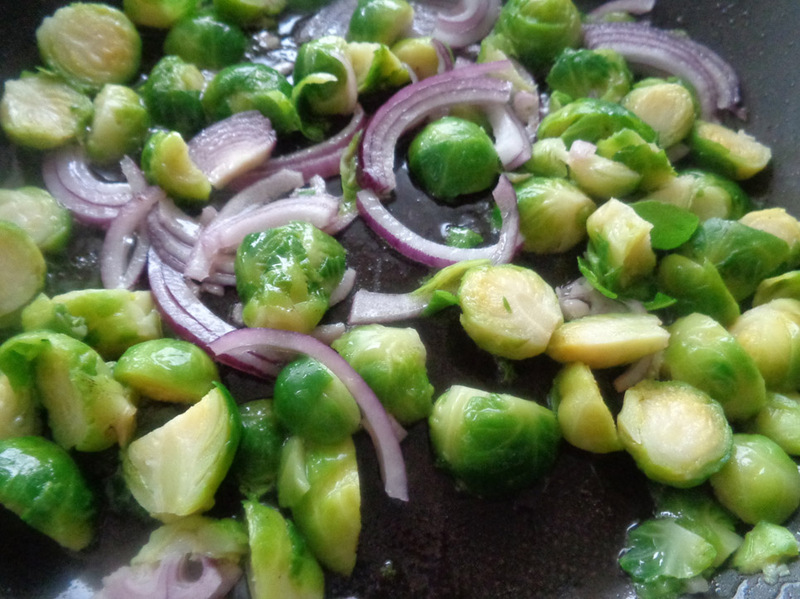 Halve the sprout buttons, chop the onion and press the garlic. Cut the bread in small chunks. 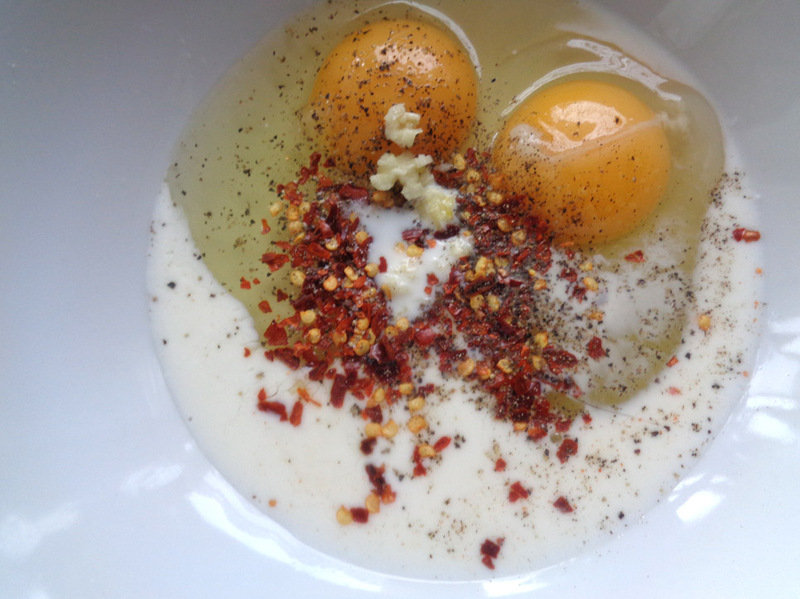 In a bowl, crack both eggs, add salt pepper, chili, milk and black pepper. Whisk and adjust seasoning if necessary. Heat the frying pan and add 3 table spoons of vegetable oil. 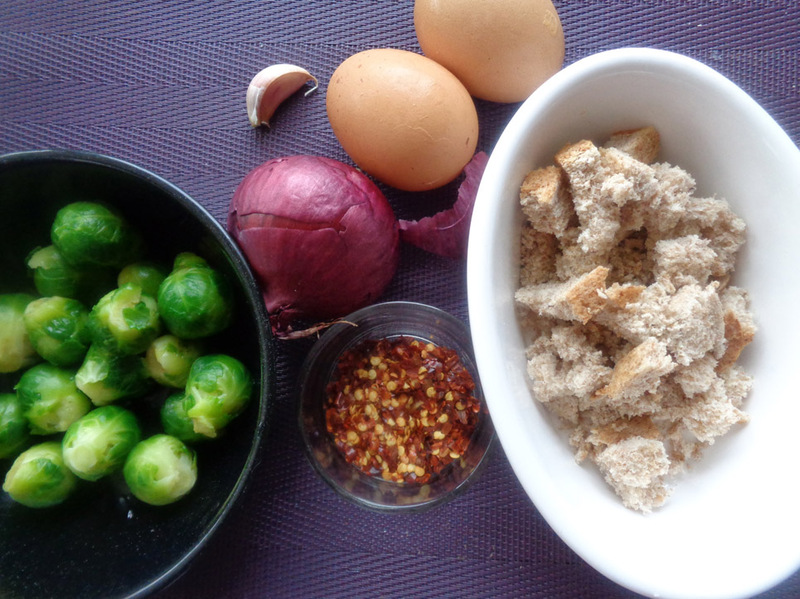 Let the oil heat up and fry the onion and the sprouts for 2 minutes, then bread and the beaten eggs. 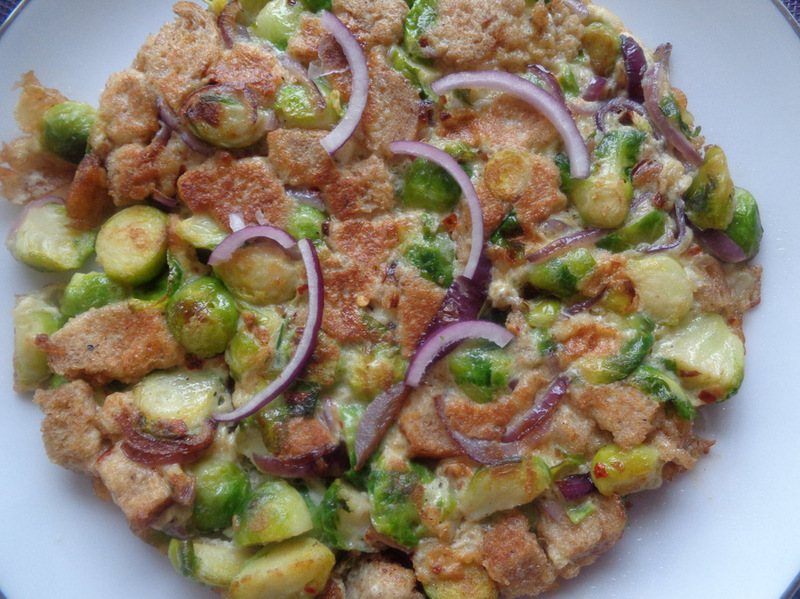 Stir to mix egg, sprouts and onions, then level the content of the pan so the whole surface of the pan is covered. Leave to fry for 3 minutes, shaking the pan from time to time so the egg won’t stick to the bottom. 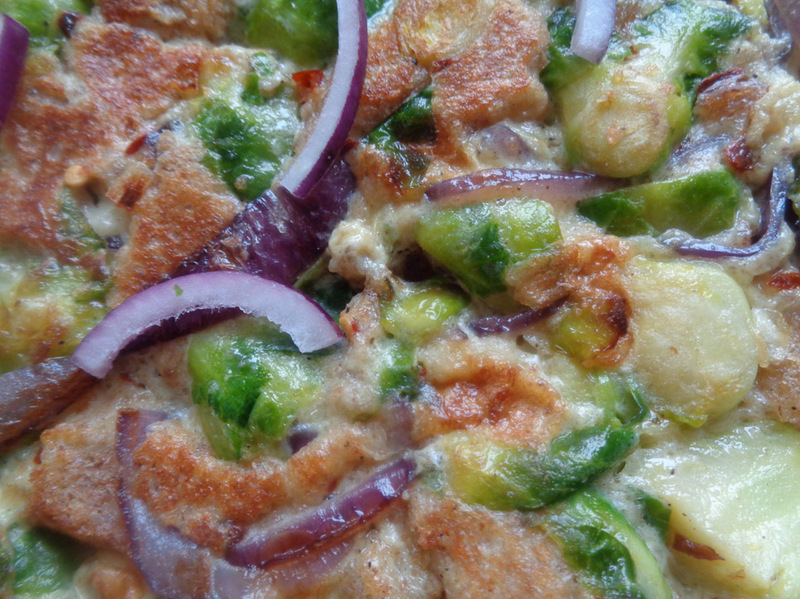 After 3 minutes, flip the frittata and leave to cook through for 3 minutes. I just added bread for consistency, but if you’ve got leftovers roast potatoes, Swede or parsnips, use them instead of bread. It is ready to serve and enjoy! This Turkish main that consist of meat & either beans (Fasulye) or spinach (Ispanak). 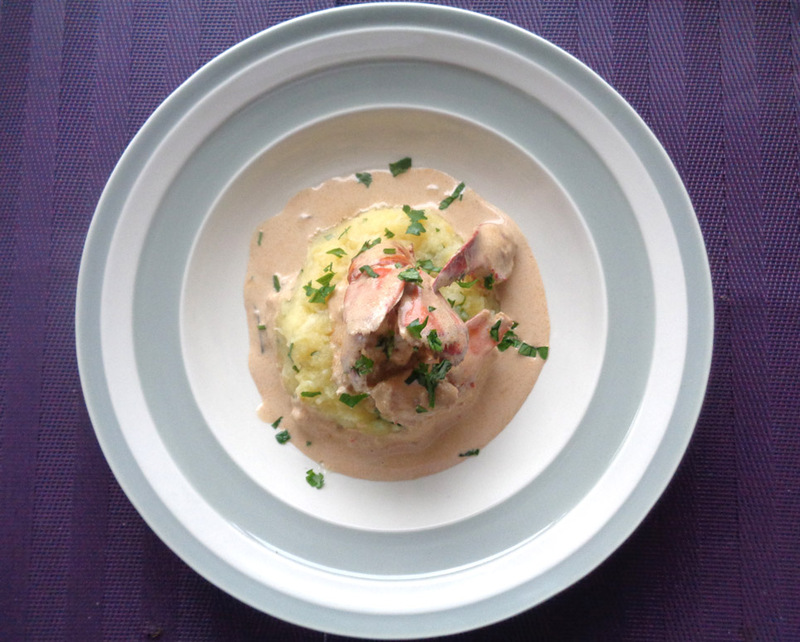 It is ideally served with rice cooked in butter, but I am service mine with wheat which is much firmer. 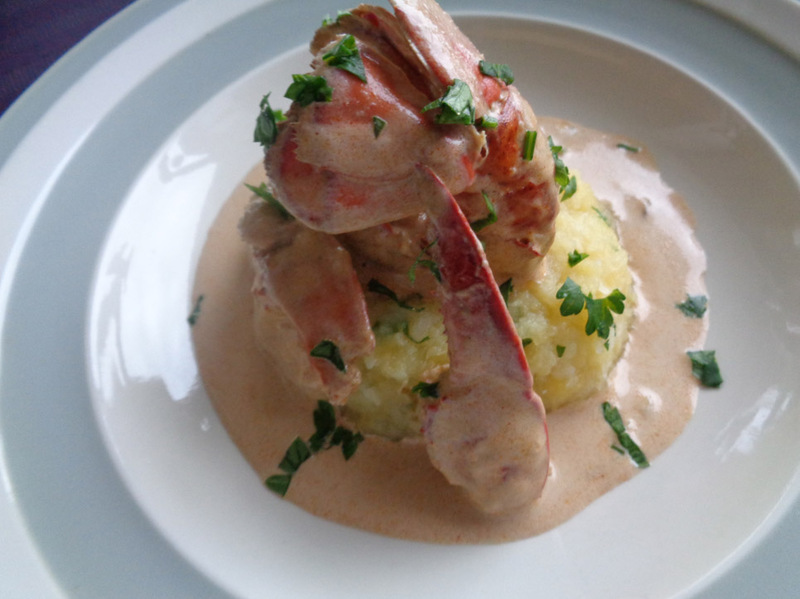 Total cost for the main £8.59 or £1.71 per person. Rinse and cut the lamb chops in smaller pieces big enough to be a mouth full. Place in a bowl. Peel & press the garlic over the lamb then add black pepper and salt. Mix well and set aside. Rinse the flat beans, cut off the extremities and cut them in pieces of about 3cm in length. 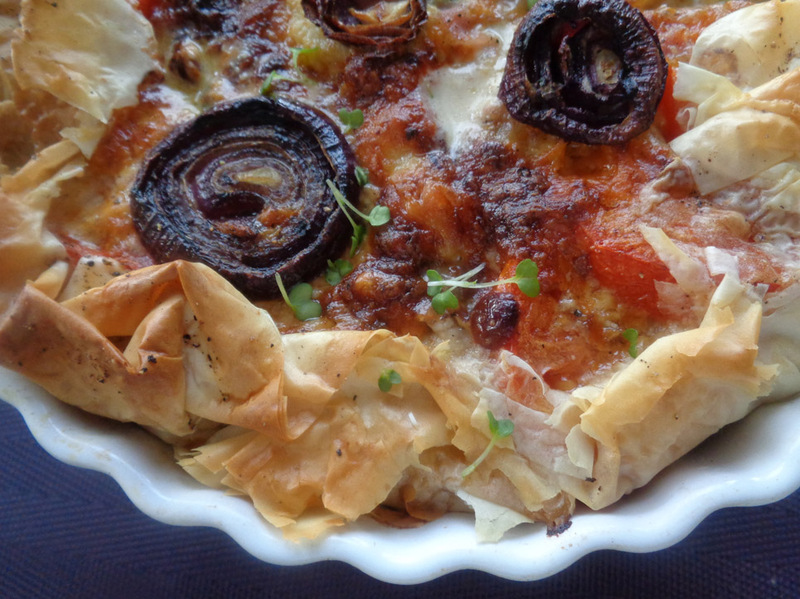 Do the same for the Turkish peppers and set aside. 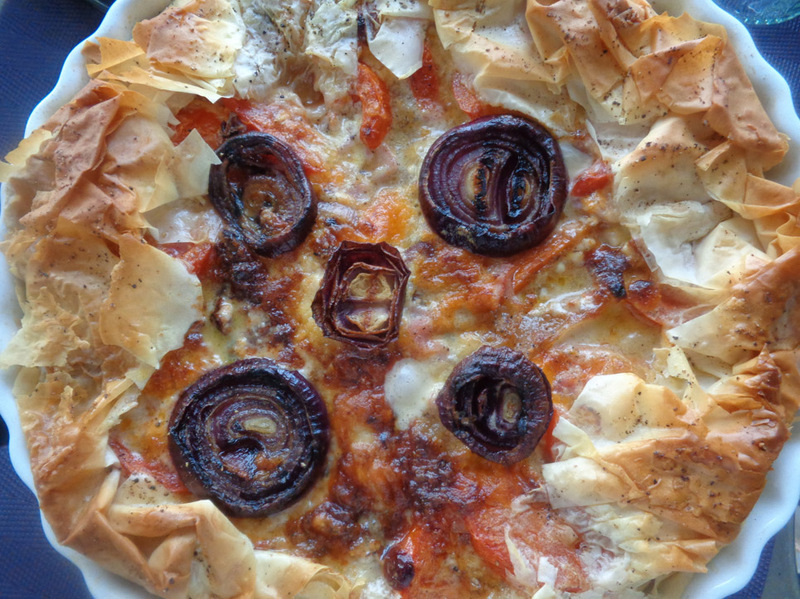 The Turkish pepper are much more flavourful than your regular green sweet peppers and they are not hot. Cut off the spinach leaves from their stalks, rinse the leaves individually before roughly cutting them. Set aside. 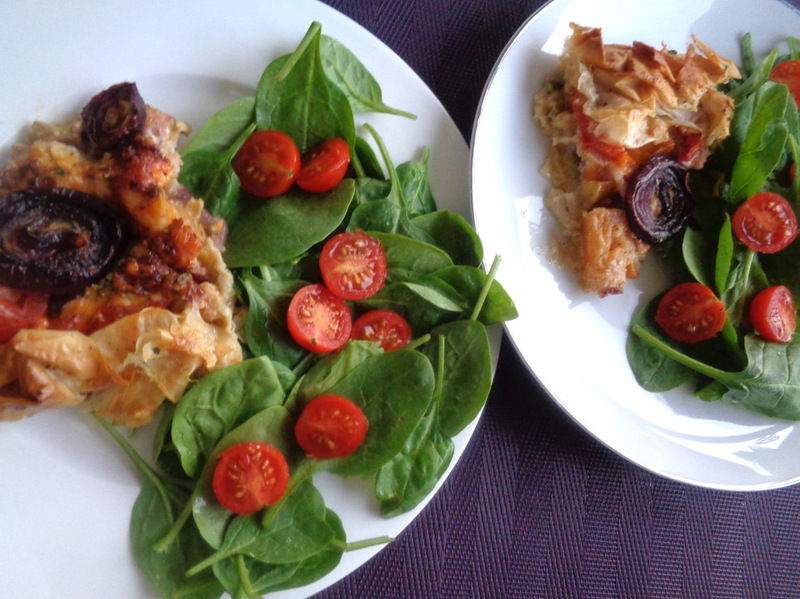 I used the large spinach leaves. Peel and chop the onion, set aside. Pick off about 15 leaves of mint and a hand full of fresh coriander, rinse and chop finely. Set aside. In a large sauce pan, heat 4 tablespoons of vegetable oil, add the meat and fry for 5 minutes turning the pieces of meat until all sides are browned. Now add ¾ of the chopped onion, mix and cover the pan. Allow the meat to sweat for 10 minutes. 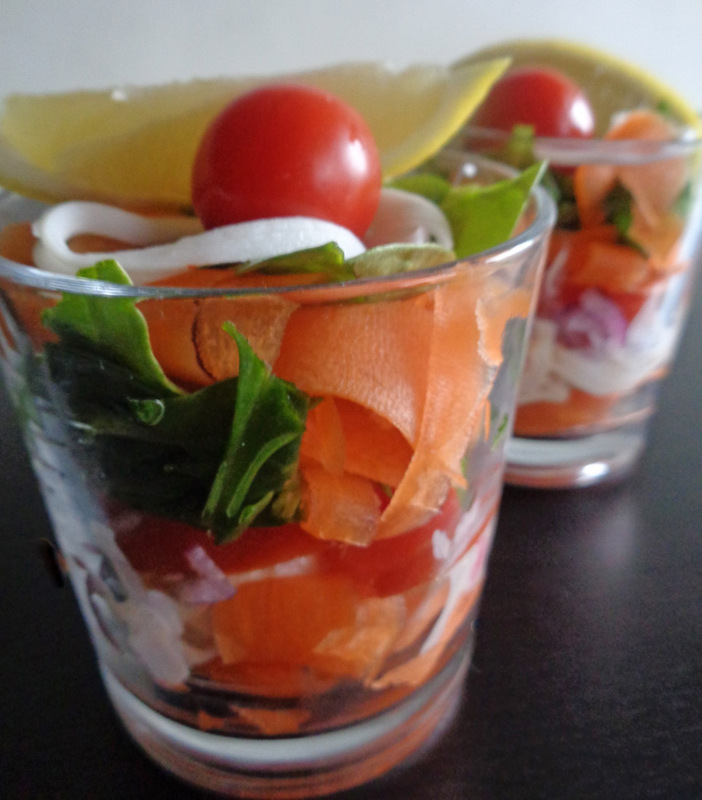 Now, add tomato, cumin, paprika, chilli flakes, oregano, mint, coriander and 100ml water. Mix well, taste and adjust seasoning before covering to simmer for 20 minutes. Halfway through the 20 minutes, add the flat beans & Turkish peppers, stirs and cover again. At the end of the 20 minutes, add the spinach stir well and cover to simmer for another 5 minutes. By the time the spinach are softened, the meat would have been cooking for 45 minutes in total, so it should be really tender and almost falling off the bone. Now on to the Wheat. The Turkish would have served the meat above with a Sade Pilavi, which means rice fried in butter, then cooked with stock… Please read the Wiki page about Turkish food, such an interesting mix of flavours and techniques. I am not using rice obviously, but I am cooking my wheat in the “Sade” way. Rinse off the starch from the wheat, set aside. In a big enough pan with a lid, heat 50g butter and add the chopped onion. Until it starts to caramelise. Now add the wheat with a pinch of salt and stir fry for about 5 minutes to obtain a very slightly toasty smell (or burn if you will) coming from the pan. Now pour over it 500ml of stock and cover to simmer for 30 minutes. You will need to open the pan very often to check the water levels and add more water until the wheat softens. Now. Wheat does not soften to the level of rice and can be very chewy, if you have never used it, after cooking it for 20-25 minutes you should be able to eat it without too much efforts. Wheat is a great alternative to rice. I server mine hot, topped with the Lamb Kıymalı with yogurt and fresh pomegranates jewels. I chose to use the pomegranates instead of dry fruits because they are less sweet and bring much colour to the plate. Hear the radio show here on Croydon Radio. 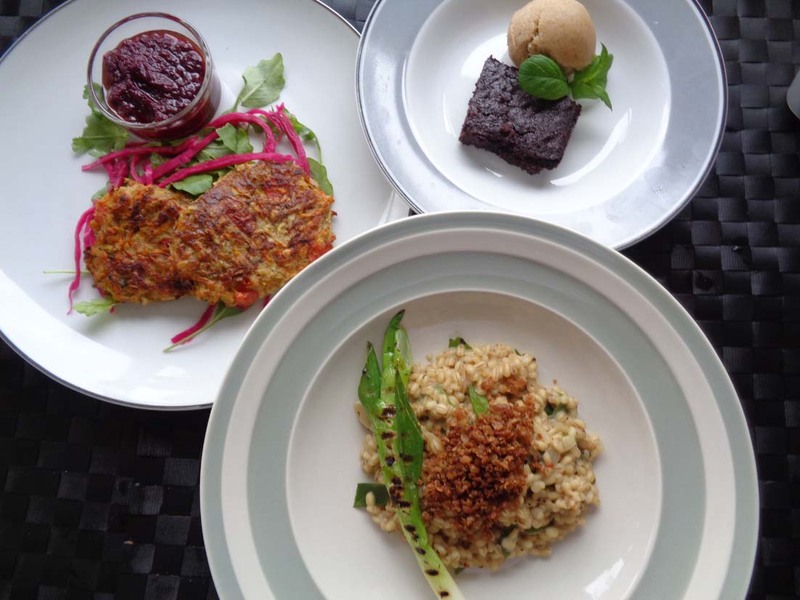 This month I’d like to treat you to 3 course vegan meal… My favourite. 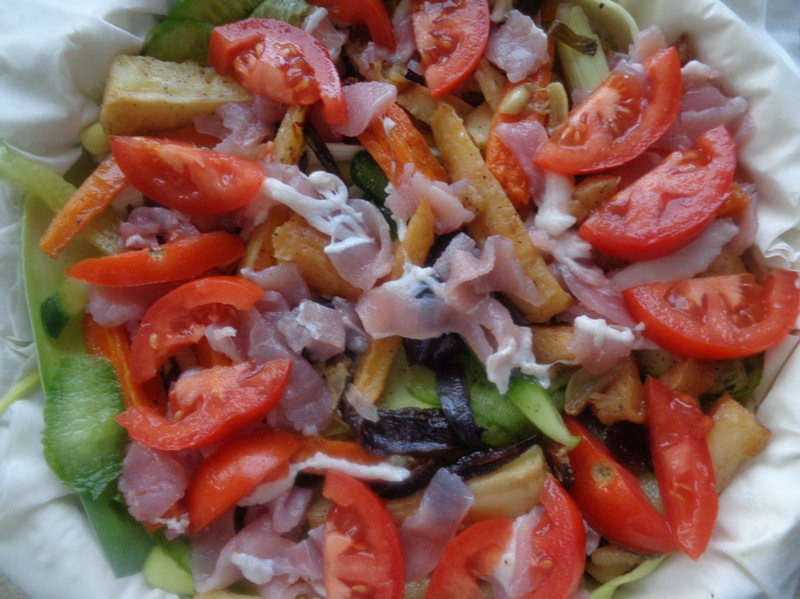 See, I am not always a fan of meat and having had health concerns in the past I often eat meat and dairy free meals. I am very much against battery farming and especially the over-production/consumption for some meats in particular in this country. Cooking meat & dairy free does require a bit of creativity at times and frankly what tends to be presented in some mags or vegan restaurants aren’t often appealing. 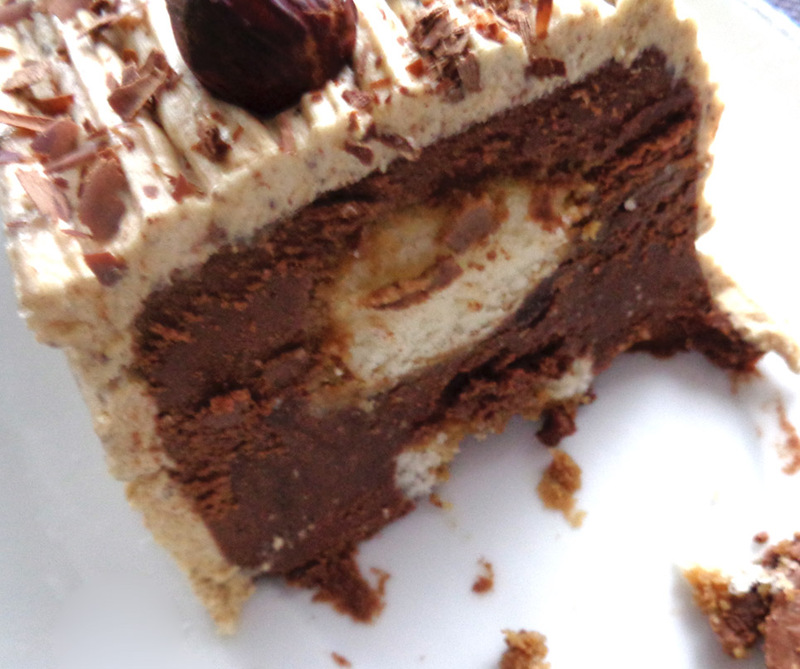 To see some of my musings, go see my vegan blog http://www.all-vegan.blogspot.co.uk… scroll down to see some of my most exciting combos. One myth I’d like to dispel also is that, Quinoa is not that outlandish! That barley is a great alternative to rice and that NOT ALL vegans are “sandal wearing nuts eating yogurt knitters”… So, stop hating and explore before earning the right to put vegan advocates down. PS: not all of them are militant nutters either. Hope you will tune in to discover what I’ll be cooking. 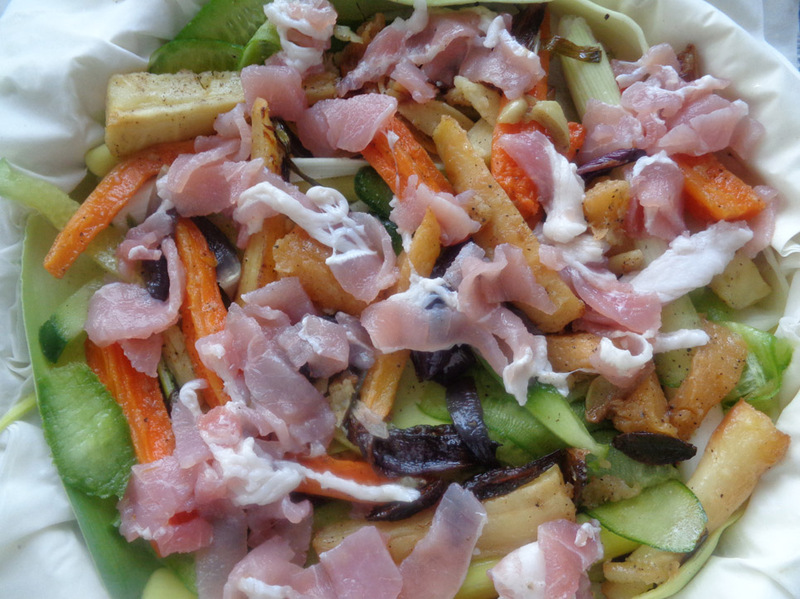 You will also get to discover the health values in some of the ingredients used. See you on Saturday 5th from 4pm on Croydon Radio. PS: I am only a part-time vegan and full time lazy chewer. Oh, did I mention God botherer? Update: Hope you manage to tune in to the show. 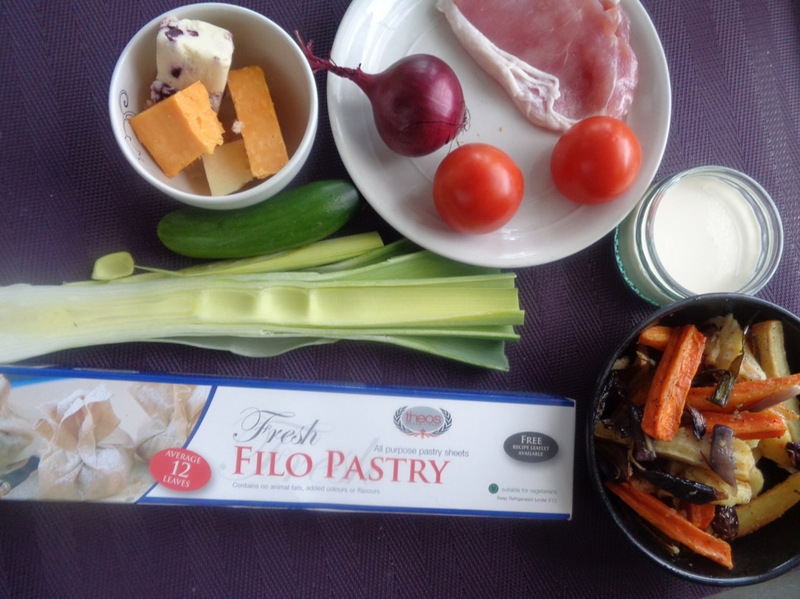 This is what the food looks like… Find the recipe for the starter, main and dessert here. Do post a comment! Allow 3 tamales per person. These were made as part of the Cuban menu. Total spent: £1.86 or 46p per person. 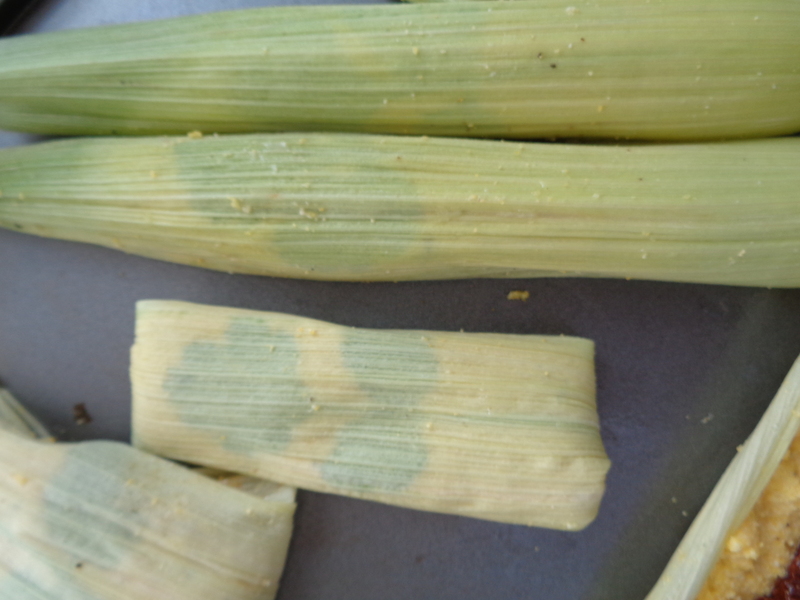 The only thing used on the fresh corn on this recipe are the leaves. The corn kernels will be used in another recipe. Slice the pieces of sundried tomato in 2 – 3 to make them thinner. Set aside. 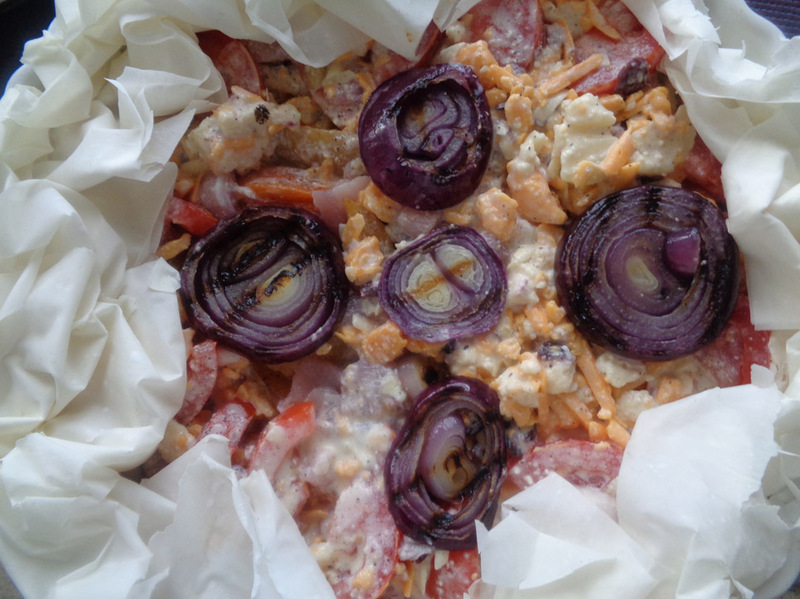 In a mixing bowl, pour the corn flour, the self-rising flour, a pinch of salt and oregano. Mix all the dry elements together then, add the boiling water, the flavoured oil and knead the dough using a spatula until you obtain the consistency of a cookie dough. Now lay flat all the corn leaves on a flat surface. 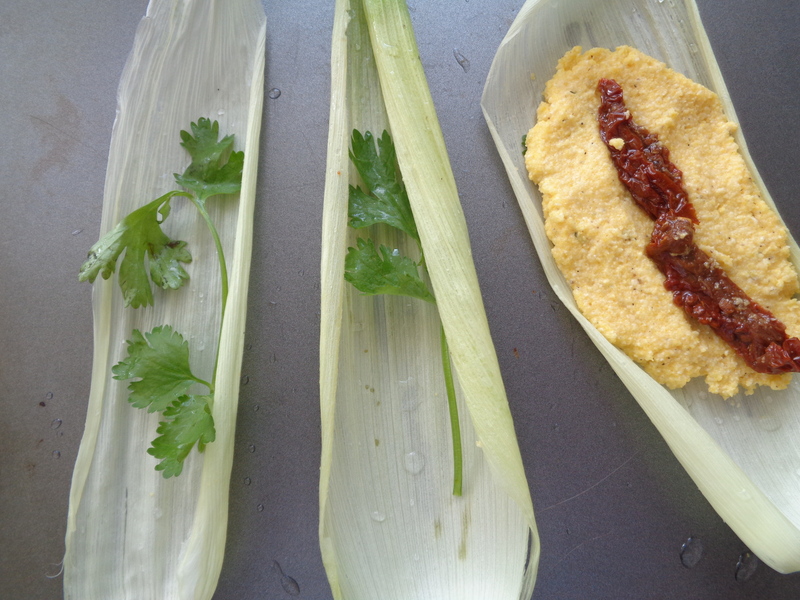 On each leave, place 1 coriander leave, then top with the equivalent of 2 tablespoons full of corn dough. 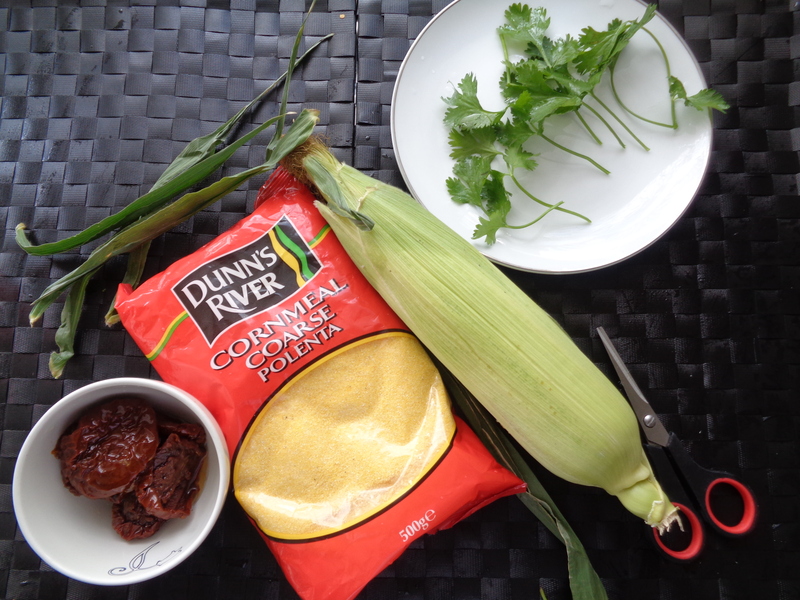 Flatten the dough on the corn leave and place on it 2-3 pieces of sundried tomato. Now bring together all the edges of the corn leave as if making a rolled cigarette. 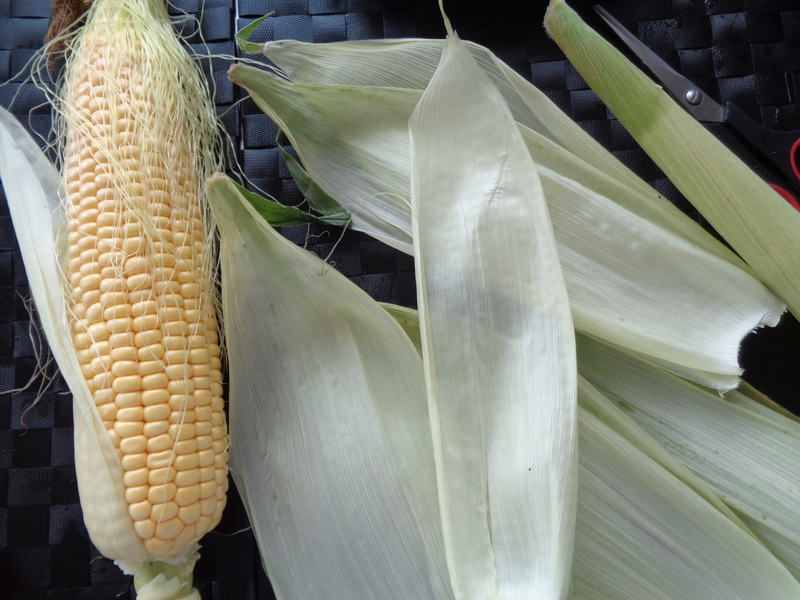 Fold the edge together and finish folding by over flapping both ends of the corn leaves. You can either hold the parcel together with a tooth pick or simply put the parcel aside face down. Repeat until all the parcels are done. If you’ve got a steamer, use it to cook the tamales. 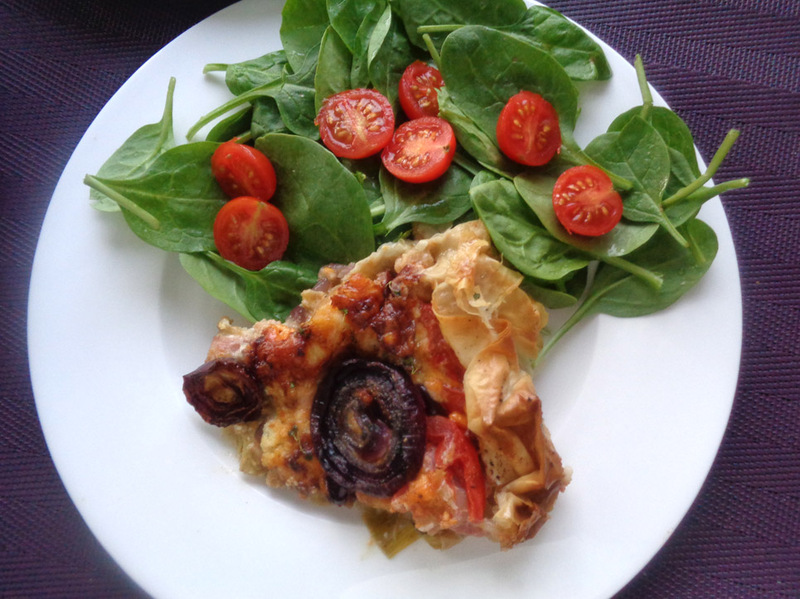 If not, Place all the tamale parcels in an oven proof dish and place the dish in a big enough pan with a lid. Without a steamer, it is best to cook the tamales in a Bain Marie. The idea here is that you will pour some water in the pan, making sure that none of it enters the heat proof dish containing the tamales. The water in the pan should be at about half the height of the dish within the pan. As water boils, it will produce enough heat to cook the tamales. For the size of the tamales made in the recipe, you should allow 20 minutes for them to be cooked through. 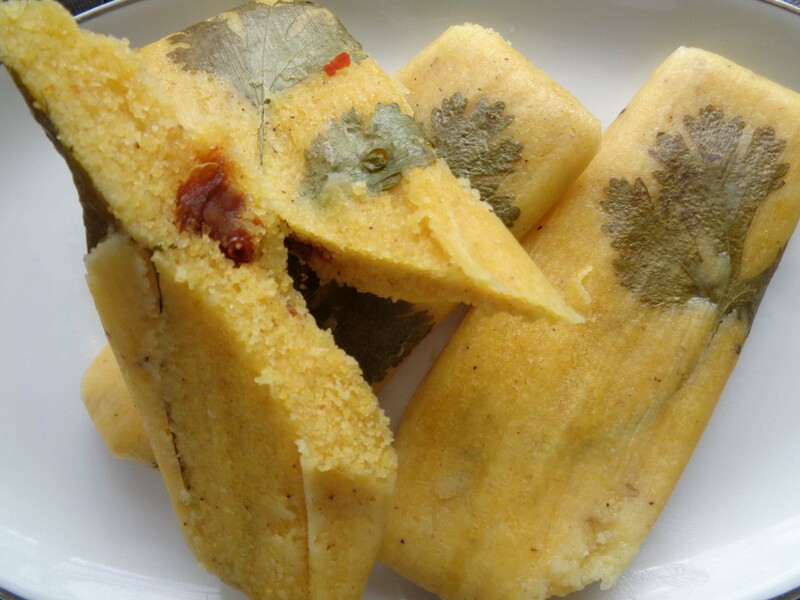 To check that the tamales are ready, they should be harder and if pricked with the tip of the knife, just like the test for a cake, the knife should come out dry. The secret is to keep the steam to the max in the pan. Make sure to top up the water as it dries out. They are to be eaten without the corn leaves obviously. 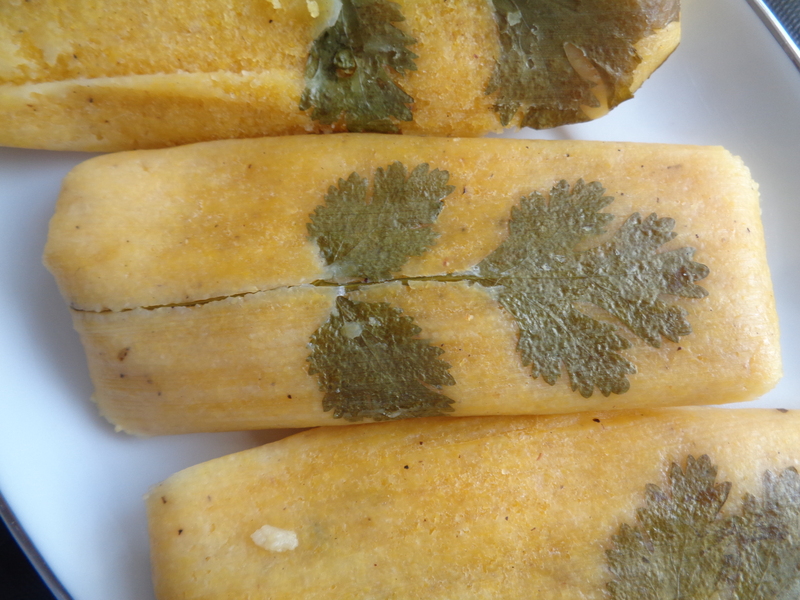 Note: Using corn leaves add to the taste of the Tamales. 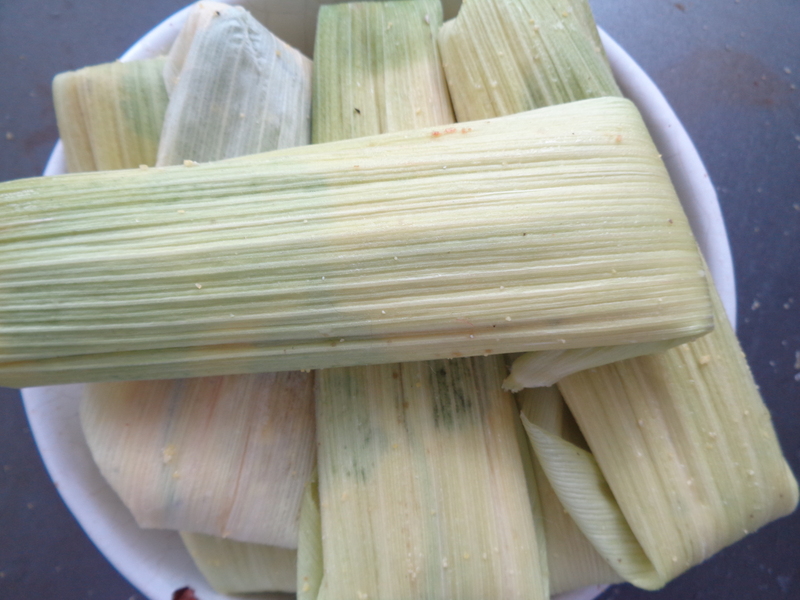 In the absence of corn leaves, use banana leaves (found in the local ethnic or Chinese supermarket) or simply kitchen foil. See how I serve mine her with a Cuban Ropa Vieja.